Just like the college players wear. 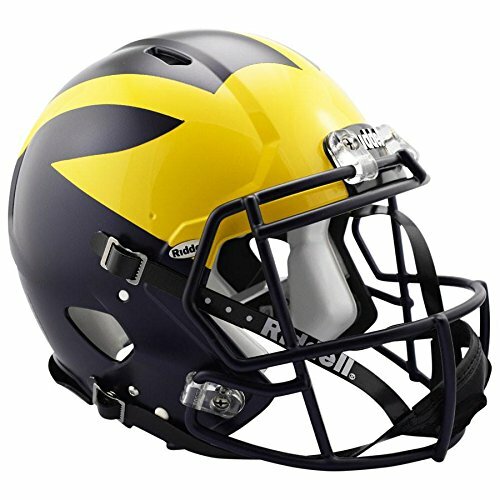 Officially licensed, full sized Michigan Wolverines Authentic Speed Style, Painted Design Helmet by Riddell. The ultimate way to show your school spirit! Meant for display purposes, not intended for competitive play.